With Readly you can read Sewing for Beginners and thousands of other magazines on your tablet and smartphone. Get access to all with just one subscription. New releases and back issues – all included. A key life skill as well as a fun hobby, learning to sew will allow you to fix the odd tear in your jeans or make alterations to garments. 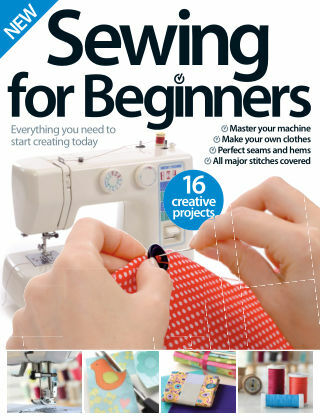 Get to grips with all the essentials with Sewing for Beginners, from choosing your tools and materials to getting to know your sewing machine. You’ll learn all the essential techniques and put them to use with a number of fun and creative projects, so start creating!